Are the elevators in line with the tail plane when the stick is at the centre? If it is then where is the CofG? How far back from the leading edge? It sounds to me like it is rather nose heavy. Without a few measurements it is difficult to ascertain the exact issue you are facing but it foes have all of the symptoms of a wing or tail incidence issue. Do you have the ability to measure or check the incidence angles of the tail and wing? If not you could try adding a little packing under the wing LE to increase its incidence angle slightly and then do a test flight to see if the issue is lessened in severity! I agree with quorneng, sounds like you’re nose heavy. You should be able to balance the plane on your fingers at about 25% of the wing cord. These planes shouldn't need any adjustments, nor anything else for that matter. I wouldn't try and change the wing incidence. You can make it fly straight like that, but any aerobatics will be worse. That would be more or less the same as bringing down your flaps. There are two possibilities that I can think of. Firstly, and most likely, the balance point is too far forward. Can you shift the battery back? Is your battery bigger than recommended? Aim for the balance point to be about 30% of the width of the wing from the leading edge. Did you adjust that already in any way. Disregard what it says in the instructions about the balance point. The second possibility is the elevator not in the neutral position - i.e. pointing down a bit at the back. It's not down in the photo, but you need to check when your RC is switched on. When you have exhausted all of the CG effects advice I would request that if the issue still exists you should check the wing and tail incidence angles. I do not make this suggestion without precedence or proper reasoning! 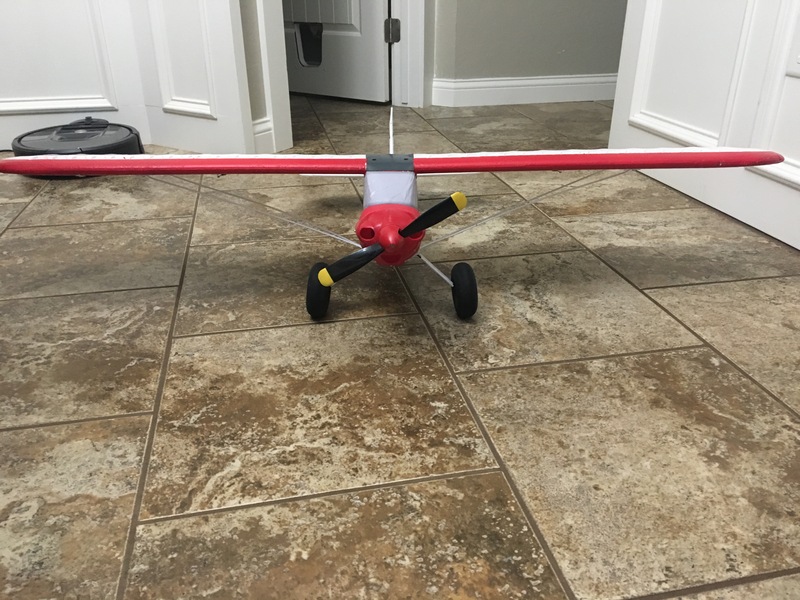 One of my local cub members had a RTF club that was performing exactly as you have described and he also had tried almost every possible CG/balance location that would still allow the plane to fly. In order to assist I asked when the issue arose and it appeared that it had not been the same since he had "Tree-ed" the plane and then had to reattach the tail/rear fuselage. Close examination showed that the tail incidence angle had been increased during the crash/repair process. This increase in the tail incidence angle had made the wing incidence angle WRT the horizontal stabilizer much reduced. As a quick fix a shim was placed under the LE of the wing and the plane test flown. The issue had almost completely disappeared and with a change in the shim thickness the problem was completely gone and the original handling returned. As a note in the supplied photos the wing struts from the wing underside to the fuselage bottom appear of different lengths. Either the front strut lengths are both too long, the rears are both too short, or the wing is pointed slightly nose down. As for the effect of a decreased main wing incidence, The lower incidence angle means a lower amount of lift for a set speed so high speed take offs would be required. Slow speed handling in flight would be upset by the tails ability to push the nose upwards to give enough main wing incidence angle to achieve the required amount of lift. Apart from the tail now dragging somewhat at low speed the effort of the tail supplying additional downwards force to overcome a nose heavy plane can degrade slow speed performance still further. This can be further complicated if the tail comes or flies in the disturbed airflow from the main wing. With a decreased effective main wing incidence angle it is possible that the plane will not be able to maintain level flight as you slow down as the wings lift will decrease and the tail may be unable to supply enough down force to compensate. The result can be a rapid nose dive as you slow down and it can be very sudden or violent if the tail itself stalls. When you apply flaps the effect is to massively increase wing incidence but at the same time massively increase wing drag. Ideally the main wing should have a slightly greater incidence angle that the horizontal stabilizer for normal flight especially for a trainer, (even if advanced). Whilst I freely admit that this may not be your issue, the fact that you have tried many positions for balance and checked almost every other geometry of the plane then this is one of the very few possible causes that you may wish to try. To see if this is your problem just loosen the screws that hold down the front of the wing and insert a paddle pop stick between the fuselage and the wing LE. Re-tighten the screws and take it out for a test flight. Good point. I have the Carbon Cub S+, which is very similar. The struts are not symmetrical. They're handed, so you have to install them on the right side, otherwise they distort the wing when flying. It's worth checking for that in case they're pulling down the front of the wings in flight, but from the photos, it looks like the rear strut is tight, which doesn't add up with that theory. Check anyway because things look different in photos and there's no weight on the wings at the moment. If you lift the plane with the palms of your hands under the wing tips, you should be able to judge what's happening with the tension in the struts..
Hai-Lee makes a good point, do you know the history of this plane, any crashes? Check CG first then check your incidences. Anyone have any suggestions how you would check incidence without a proper incidence gauge? Or how to improvise an incidence gauge? I used to make my own from scrap FB until I bought my 3D printer. A simple incidence gauge can be made from FB and a small spirit level. Find a straight piece of scrap and draw a line along where you want the cord line to be. Draw a second parallel line about 50mm above the cord line. Cut the top line carefully and square as this is where the level will be placed to measure. At what will be the front or LE of the gauge, o(on the cord line), cut a "V" with the point facing outwards from where the LE will sit. This "V" will nestle against the wing LE when measuring. At where the wing TE will be cut the material below the line away. Between the LE and the TE cut enough material so that the wing LE will fit snugly into the "V" and the TE will rest flat against the TE of the gauge. Place the level on the flat edge atop the gauge and take a relative measurement. The level placed flat on the tail can give the relative tail incidence reading! Just what worked for me! I feel like you were on the right track with thrust angle. A hard landing on the nose probably weakened the foam under the motor mount, and now when you apply power, the torque flexes that foam and deforms it, adjusting the thrust angle downward. Try a static thrust test by anchoring the plane, and then applying power. Check to see if the motor mount is able to keep the engine aligned properly. I have fixed the problem. Thanks for your all of your input. It flies like new. The main wing incidence was off by quite a bit. 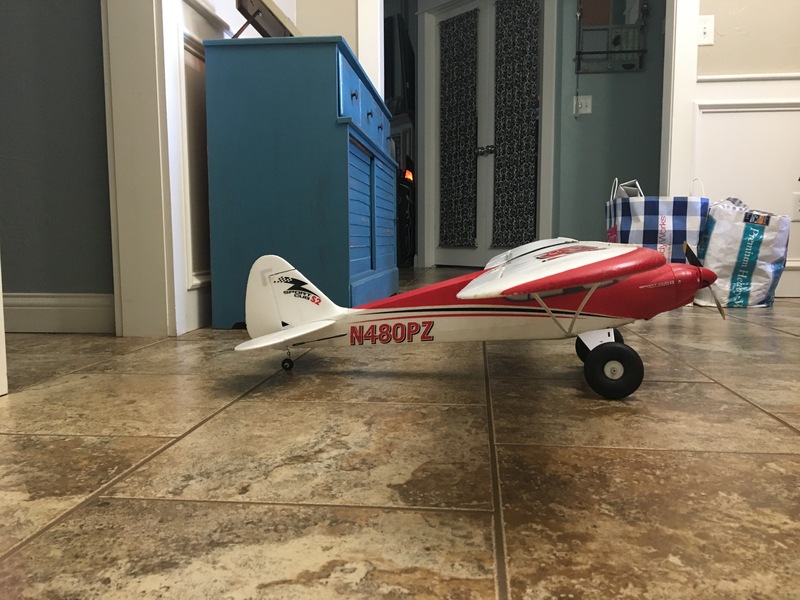 my prop wasn’t bent all the way back to being flat so that’s the cause for lack of power and in turn aggressively stalling upon trying to do aerobatics. 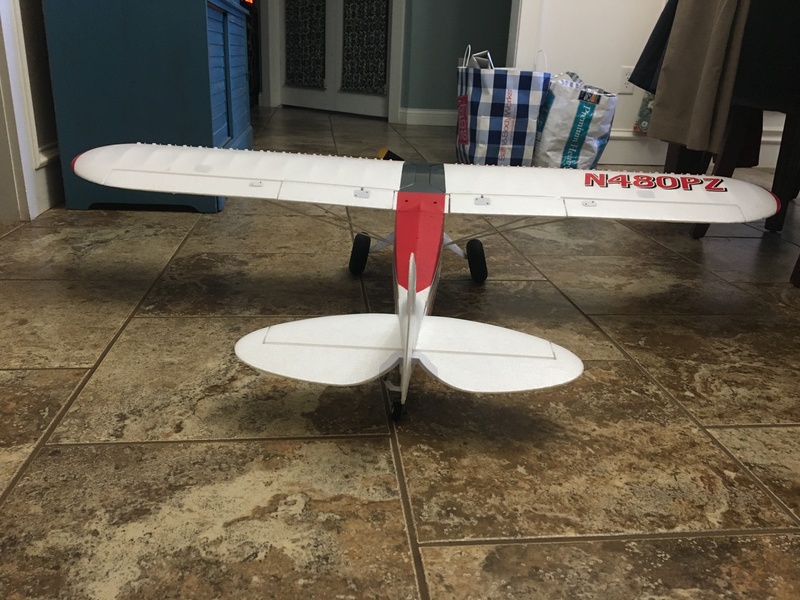 I slid a piece of foam around the base of the wing and shaped it so the wing sits correctly. 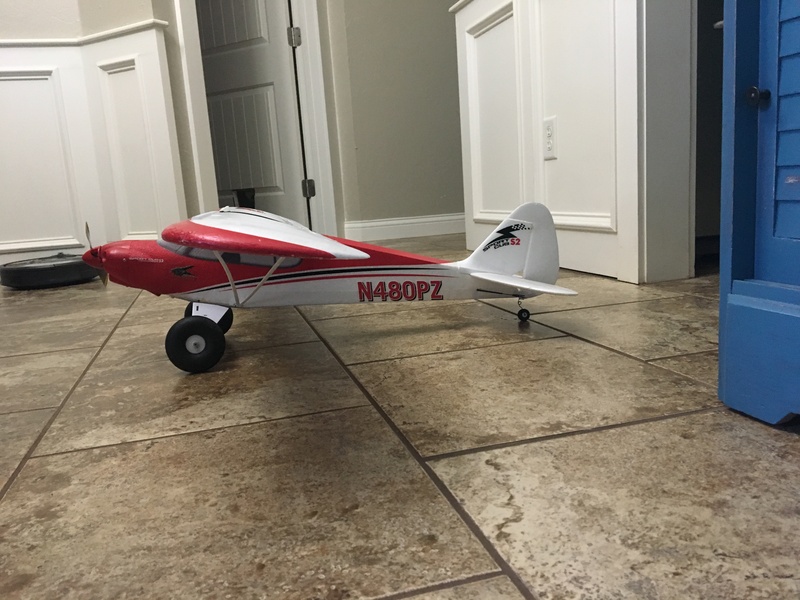 I took it out for a flight today and it tracked straight and I was able to do all of the aerobatics. And I was able to land so slowly that it had about a 5 foot roll out. I appreciate all of the suggestions.